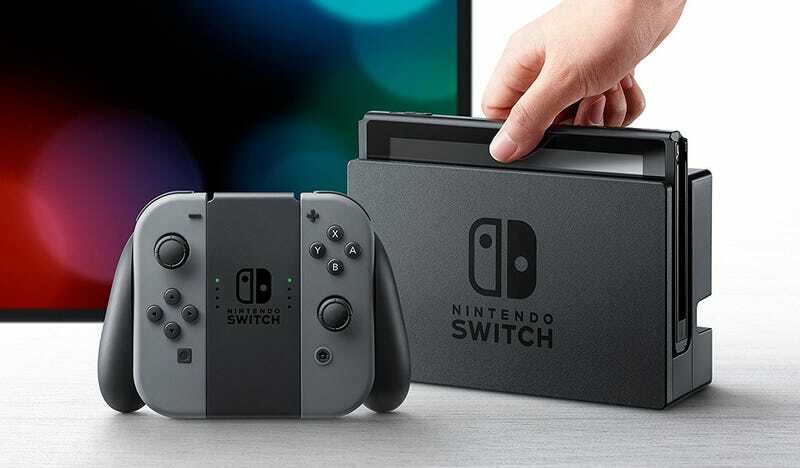 For the last few months, Nintendo has been putting Switch units out as fast as they can have them produced and they sell out instantly due to the high demand for the Switch. This isn’t the first time that a Nintendo product has been in such high demand and, consequently, hard to find for a long stretch of time. From the original Wii, to the 3DS, and even Nintendo’s Amiibo figures. The usual suspect is Nintendo purposefully producing less in order to drive up demand. It’s a common trick that companies use to make you want to buy something. The harder it is to find, the more popular it seems, and then others will want it. Well the same seemed to be happening with the Switch... except that the Switch’s problems aren’t artificial, and you can blame other big tech companies for the Switch’s scarcity. Toshiba is one of the biggest manufacturers, if not THE biggest manufacturer, of flash memory. As a result, everyone goes to them. Nintendo can only order so many Switch units because they want to make a profit off of each unit sold, and if they increase production significantly, then the price of the Switch could go up and that would potentially be suicidal. This wouldn’t be a problem at all if Toshiba was just producing Nintendo Switch’s, but they aren’t, they’re also producing iPhones and equipment for large data centers. The orders they get from these companies are typically either larger than Nintendo’s orders, or the companies pay more, giving them priority over Nintendo’s order. This in turn leads to the Switch being scarce because only so many units get produced at a time due to the manufacturer having other orders to fill that are higher on the priority list. It recently came out that Nintendo was looking to increase Switch production to a total of 18 million units by March 2018, up from the original 3 million projection and the revised 10 million projection. Nintendo very much wants to get the Switch into every consumers hands, but they’ll have to wait their turn it seems. Additional Fun Fact: The NES Classic, Nintendo’s physical NES emulator that you could buy up until recently, was also very scarce, in fact it was scarcer than the Switch. People also chocked this up to artificial scarcity. However, Nintendo had been honest when it said there were manufacturing difficulties related to the NES Classic, and my bet is that it was the same problem. Only so many NES Classic’s could be produced due to other higher priority orders, and by April 2017, those higher priority orders included the Nintendo Switch. The NES Classic was likely discontinued so that more Switch units could be produced in its place.